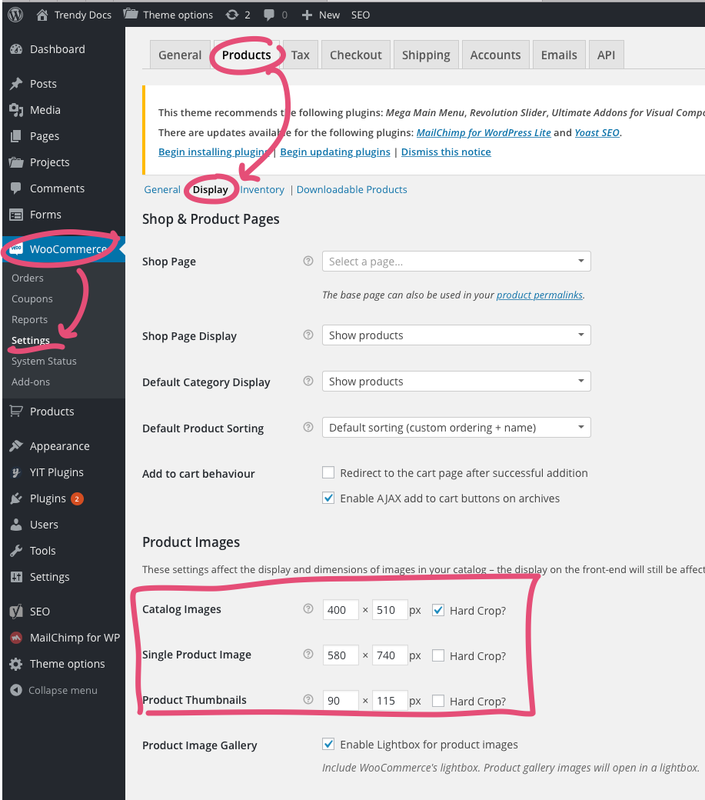 If you installed the theme on an existing site, you need to make sure the product image sizes in WooCommerce will fit your newly installed theme. Where can I find the Image Size Settings for Products? In your WordPress admin dashboard, navigate to WooCommerce → Settings → Products → Display, scroll down to the “Product Image Sizes” section and update those values marked in the screenshot below. There is no fixed size to be set for the product images, but you may want to increase or decrease the size. For example, if the images are looking blurry or pixelated, you’ll need to increase the size to avoid having small images being stretched. Updated the size but don’t see any changes? To see the changes after you update the image sizes, you need to re-generate the images WordPress is using. You can find the option to do it by navigating to Tools → Regen.Thumbnails. Cannot find Regen. Thumbnails under Tools?